The first few pages of My Heart and Other Black Holes made me question whether or not I should continue. Not because of the writing. In fact, it was the opposite. Almost immediately there was a sadness that leapt off the pages and I knew I would be in for a heartbreaking ride. I wasn't sure if I was in the right mood for it but I'm glad I pushed forward to continue because Jasmine Warga has written a beautiful, poignant novel about two despairing teenagers who meet under tragic circumstances. It's told from Aysel's point-of-view. She's sixteen, living with her mom and her "new" family and facing judgment from peers for her father's past transgressions. She feels like nothing and barely tolerated and as a result turns to a website that helps likewise depressed individuals find suicide partners. It's here that she finds Roman (alias "FrozenRobot") who is haunted by a family tragedy. He's looking for a partner who won't flake and Aysel thinks she's the right person. I don't want to keep saying it's so sad but I can't help it! Both Aysel and Roman are good kids who think they don't have anyone to turn to. They internalize all their fears and grief and think suicide is the only option. I couldn't help looking at them through the eyes of an adult and wishing someone, anyone, would notice how much pain they were in. Which is what made their meeting both awkward, considering the circumstances, but also hopeful. Because who better to understand their feelings than each other? And that's what unfolds. Even though they talk openly about their partnership and pact to die, they form a friendship. One that becomes natural and genuine and provided unexpected moments of beauty and hope. They're about to embark on something huge which forces them to open up to each other and also forces Aysel to confront her demons. Aysel and Roman's families are a part of those demons and play a huge and perfectly balanced role in the book. At times I wondered how they couldn't see what their children were going through but you can sense their own grief and misunderstanding of the situation. As the days counted down, I held onto my hope as Aysel and Roman brought joy into each other's lives and more importantly, heal the other. I feel like the book could've benefited from being a little bit longer. The ending happens very quickly and while it still packed an emotional punch, I wanted more. I do! Just know what you're getting into (as this is a serious book) but don't let it deter you. It's a really good book and I recommend checking it out. One of my favorite quotes is this: "When I find myself fading, I close my eyes and realize my friends are my energy. (Anonymous)" That describes exactly how I feel, except I would say both friends and family make me feel that way. As cheesy as it is to say, my family and friends give me hope, energy and happiness. I have this book to review and I definitely didn't think it would be so sad. I think I'll save this one for a little later. Thanks for the review! 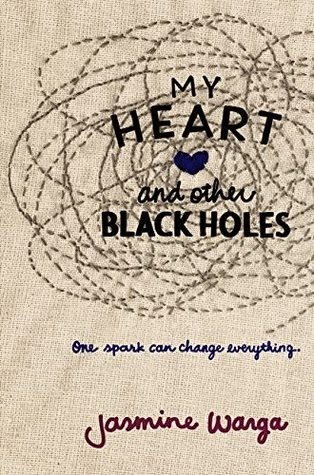 My Heart and Other Black Holes was definitely a somber read, yet I loved that there was some hope to this story too. So glad we're back for Friends with ARCs!